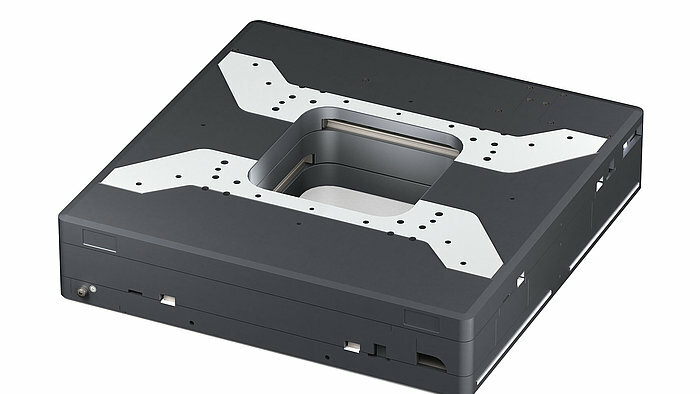 In addition to stacked XY stage combinations of single axis linear translation stages, PI provides a number of integrated manual and motorized XY stages and true planar XY stages based on air bearings or flexures. 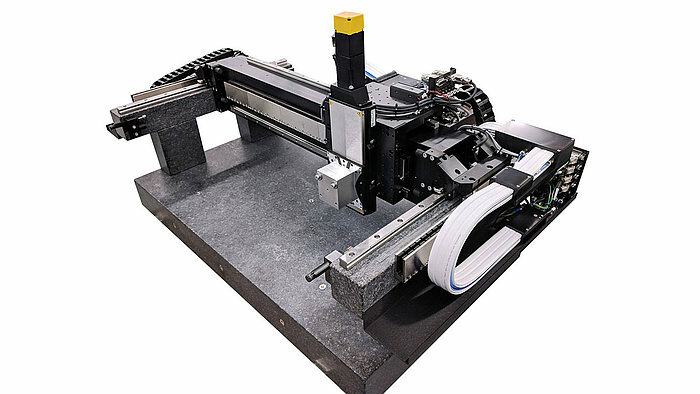 These integrated linear motion systems are available in different load and precision classes providing position resolution from a few microns down to nanometers and below. Planar Air Bearing XY stages are used when the highest precision is required in terms of straightness & flatness, smoothness of motion, and constancy of velocity. Planar XY air bearing stages use one common base for both the X and Y motion, eliminating torque and bending moments that occur with stacked stages. Air bearing stages are driven by linear motors and can provide very high velocity and acceleration, ideal prerequisites for industrial precision manufacturing applications. 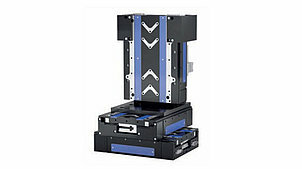 Single module XY stages provide a stiffer base and a lower profile than a pair of stacked linear positioning stages. 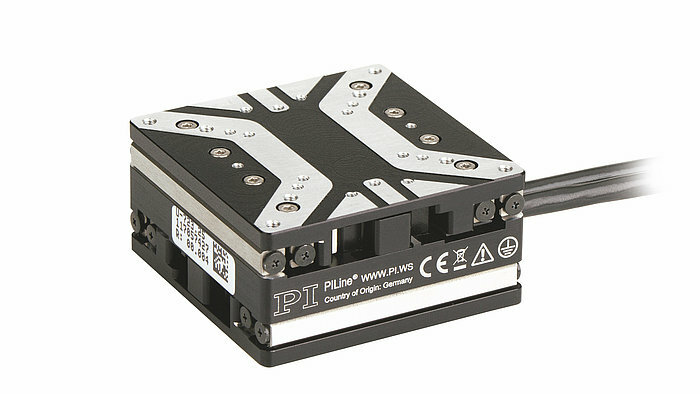 PI offers planar XY stages with motor / screw drives, for higher load and 3-phase electrodynamic direct drive linear motors for higher speed. 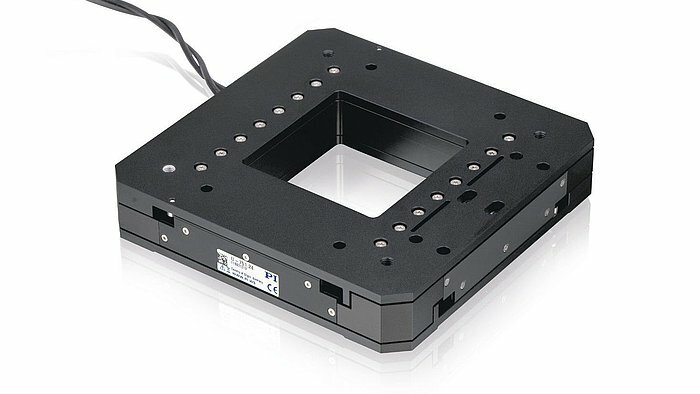 Compact XY stages with piezo linear motors (non-magnetic motors) are also available. For small travel ranges <1mm and high precision, high-speed nanopositioning requirements, piezo flexure XY stages are recommended. 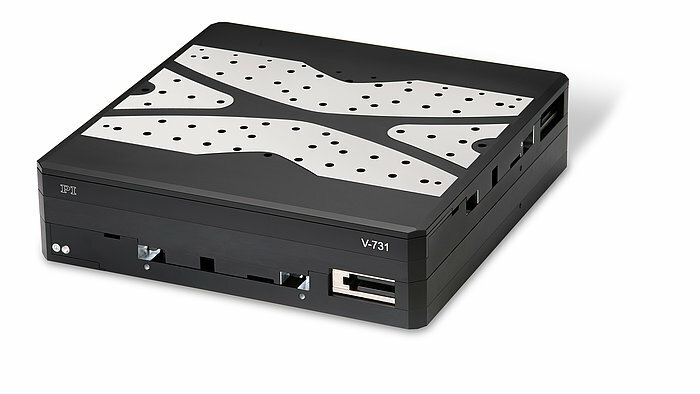 Advanced moltion control algorithms for vibration suppression and gantry control. 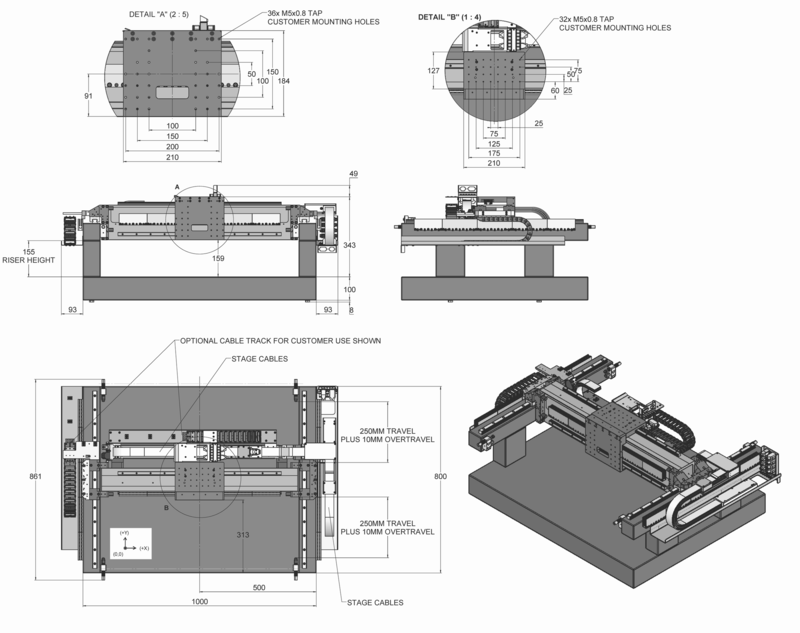 These XY-Linear Stages are based on non-contacting linear motor direct drives. Linear motors are frictionless, wear free, and provide high acceleration and excellent velocity control over wide dynamic ranges. 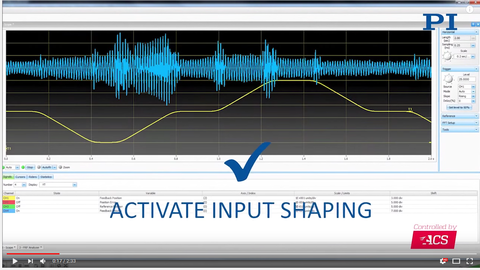 PI recommends ACS motion controllers that provide advanced features such as InputShaping to improve settling behavior and suppress unwanted resonances. 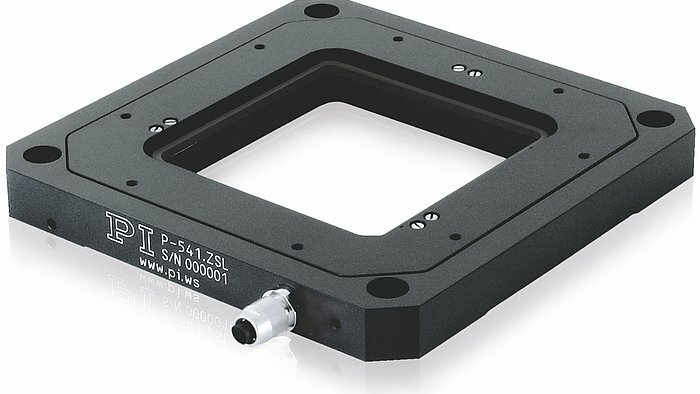 Linear encoders with resolution to 1 nanometer are available. For applications requiring higher loads and/or push-pull forces, ball screws are used in the L-731 / L-738 / L-741 XY-linear stage family. Several motor options are available, from open loop steppers to closed-loop servo motors with 10-nanometer resolution linear encoders. 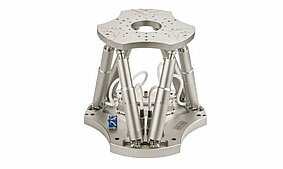 The M-545 is a manual XY-stage for microscopy applications. 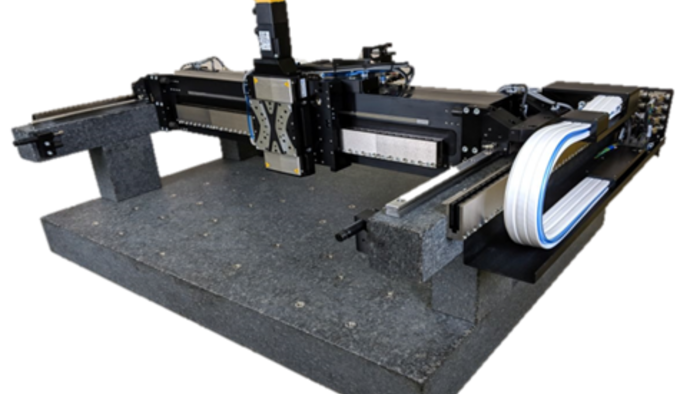 It can be motorized by replacing the manual micrometers with motorized versions. 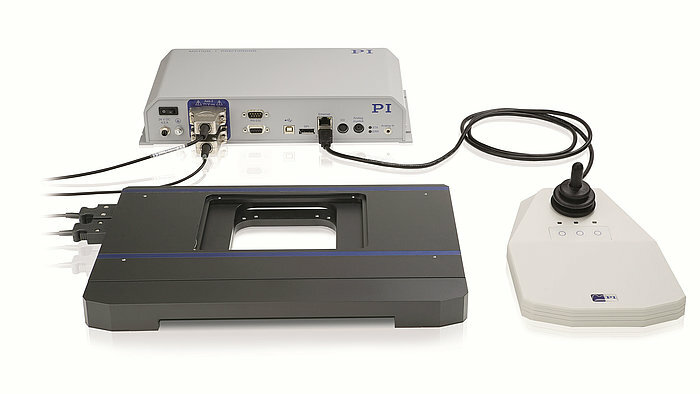 The M-545 XY stage also combines with the P-545 XY and XYZ nanopositioning stages for scanning microscopy applications. 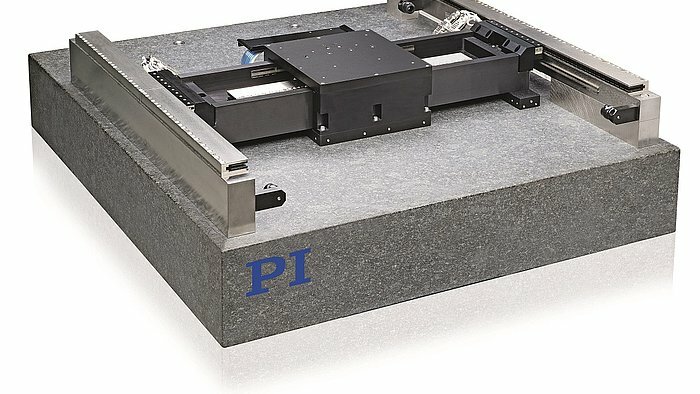 Piezo linear-motor driven XY-stages combine the advantages of piezoceramic properties with long linear travel ranges. 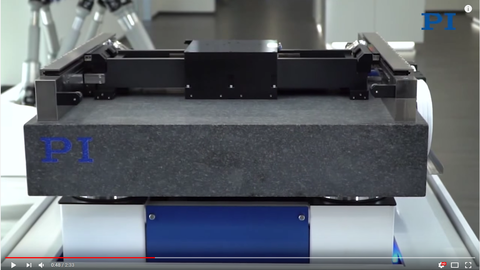 Ultrasonic linear motors provide rapid step/settle performance and a wide dynamic range. 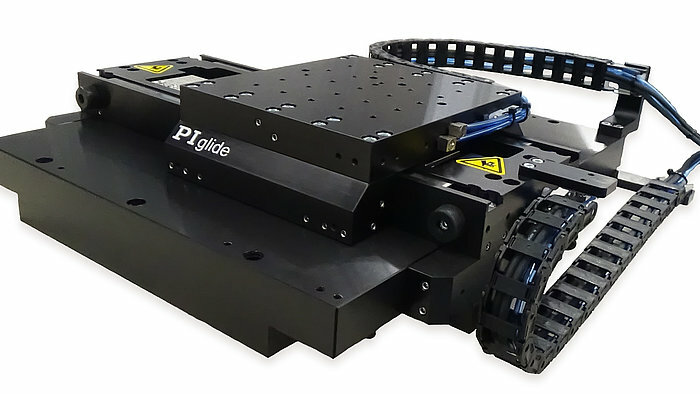 At rest, the self-clamping properties automatically lock the platform, providing high stability without the need for driving current. 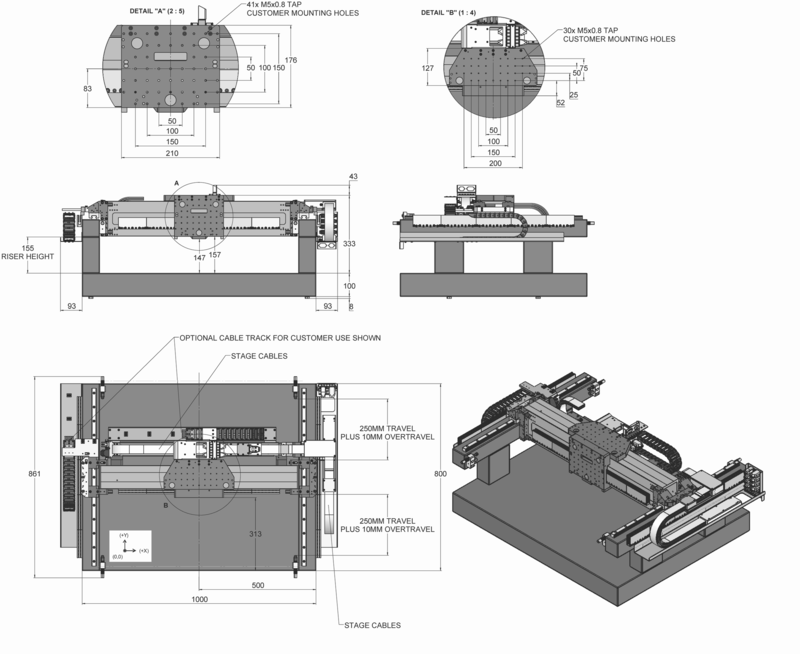 Air bearing XY-linear stages provide the highest geometric performance. 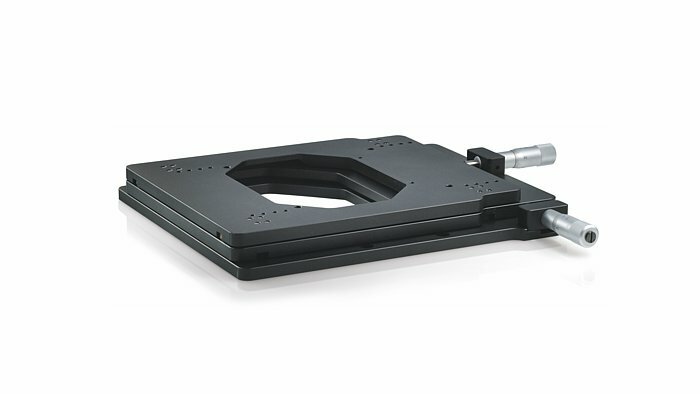 These true planar XY positioning systems use one common base for both the X and Y axes avoiding flex and torsion common with stacked X-Y stages. 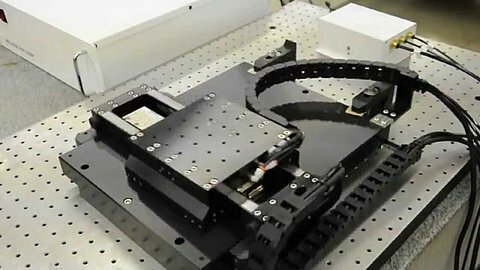 Flexure-guided, piezo-driven XY linear stages are used in nanopositioning and scanning applications with short travel ranges on the order of 100’s of microns. They provide excellent accuracy, dynamic properties, and geometric performance (straighness, flatness, etc) with resolution down to the sub-nanometer range.